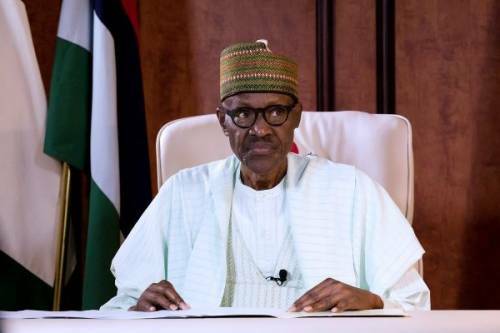 President Muhammadu Buhari has stated that he was yet to attain his desired level in the fight against corruption. The President stated this through the Head of Civil Service of the Federation, Winifred Oyo-Ita, at the Conference of Auditors-General in Nigeria in Abuja. According to him, the current administration had introduced several different initiatives, especially in the financial and management sector aimed at stemming the tide of corruption. He said, “At the inception of this administration, three cardinal goals were set: these are security, fight against corruption and revamping of the economy. “Three and the half years down the life of this administration, I am pleased to report that tremendous achievement has been recorded in all three areas. “I will say, however, that the desired level in the fight against corruption is yet to be attained. He identified some of the initiatives to include: the treasury single account, which have tremendously reduced leakages in the system, as well as the Presidential initiative on Continuous Audit, PICA. He said, “PICA have the mandate to validate controls, assess risk, probe a small cost, ensure compliance with public financial management refunds, detect errors and make recommendations to management for necessary actions. “Recently, I approve several sweeping reforms in the public finance sector so as to further reduce waste and drive up revenue. Buhari further stated that, henceforth, the account of government-owned enterprises shall be audited within the period of four months after the end of each financial year, adding that the role to be played by auditors-general in the success of this new reforms can, therefore, not be over-emphasised. His words, “Let me challenge you all to think about how progress should be measured and I look forward to this as part of the outcome of your deliberations. “The Sustainable Development Goals, SDG, adopted by all United Nations’ member state, is a universal call to action to end poverty and protect the planet and ensure that all, people enjoy peace and prosperity. “These are well captured eithin the Economic Recovery and Growth Plan, ERGP.